The temple is among the 108 divyadesams of SriVaishnavas and comes under Choza naatu divyadesams. The presiding deity is Sri Govindaraja perumal in reclining posture and thayar in a seperate sannadhi is Pundarikavalli thayar. 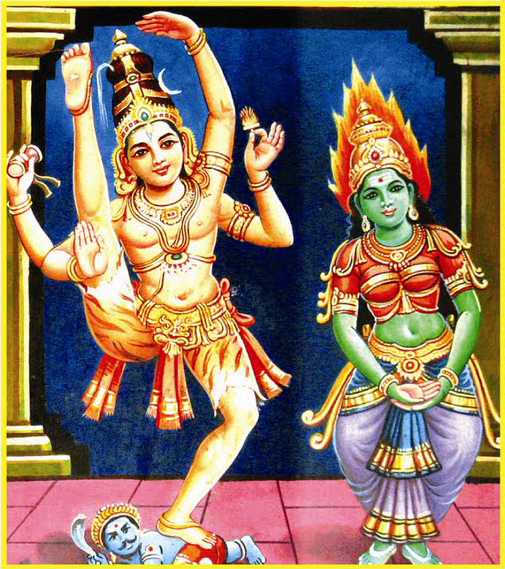 This divyadesam is inside Lord Nataraja's temple in Chidambaram - similar to Kamakshi amman and Ekambareshwar temple in Kanchipuram wherein Lord Vishnu's shrine is inside a Shaivite temple. There are two utsava moorthies in the temple by the names Sri Parathasarathy perumal and Sri Chitrakootattilullaan. The Lord gives darshan in three forms - standing, sitting and reclining posture. The shrine of Sri Govindarajar is just besides the Natarajar shrine and is a mini temple in itself with small sannadhis around the seperate prakaram. Listening to Kulasekara Azhvaar's paasurams on Chitrakoodathullan is said to be equivalent to listening to the entire Ramayana. Natarajan and Govindarajan in the same temple complex. Vishnu is said to have watched the dance duel between Shiva and Parvathi. It is believed that Cauvery’s parents undertook penance at this place uttering the name of Govinda. And were blessed with Moksham. Hence this Lord came to be called Govindarajan. One can see the Lord in 3 postures here- Standing, Sitting and in Bhoga Sayanam. As a tradition, Lord Brahma on the naval chord of Lord Vishnu is seen in a sitting form. Differing from this tradition, Brahma is in a standing form in this temple. It is said that Brahmma chose to stand as a respect to Lord Vishnu who was to judge the winner in the dance competition taking place in the Chitra Sabha. Lord is looking at the sky as the place come under the Akash category. Divine serpent Adisesha, serving as the bed of Lord Vishnu, desired to have the Thandava Darshan of Lord Shiva. Lord Vishnu sent him to have his desire fulfilled. Adisesha made friends with Maharshi Vyakrapada and had the darshan of Lord Shiva. He also had the blessings of Lord Vishnu here and returned to the milk ocean to resume his job as bed of Perumal. He has his shrine in the prakara at the feet of Lord Vishnu. It is believed that prayer to Adisesha would bring the dual benefit of the blessings of Lord Shiva and Lord Vishnu. A demon woman Dhilli by name prayed to Lord Perumal to be a forest herself full of trees and that Lord should grace the place with His presence. She became Thillai trees. Named after her, the place came to be known as Thillai Nagar. Mother Pundarikavalli graces from a separate shrine. The Padukas of Lord are in a shrine in the prakara ensuring salvation to the devotees. Garuda Baghwan holding the devotee elephant Gajendra, Lords Narasimha, Venugopala and Maharshi Patanjali, Sri Andal and Sri Anjaneya also grace the devotees from their shrines in the prakara. One can see the Chidambaram Rahasyam (the Lord in the ‘form of a Yantram’) inside the sanctum of Nataraja, to his right. 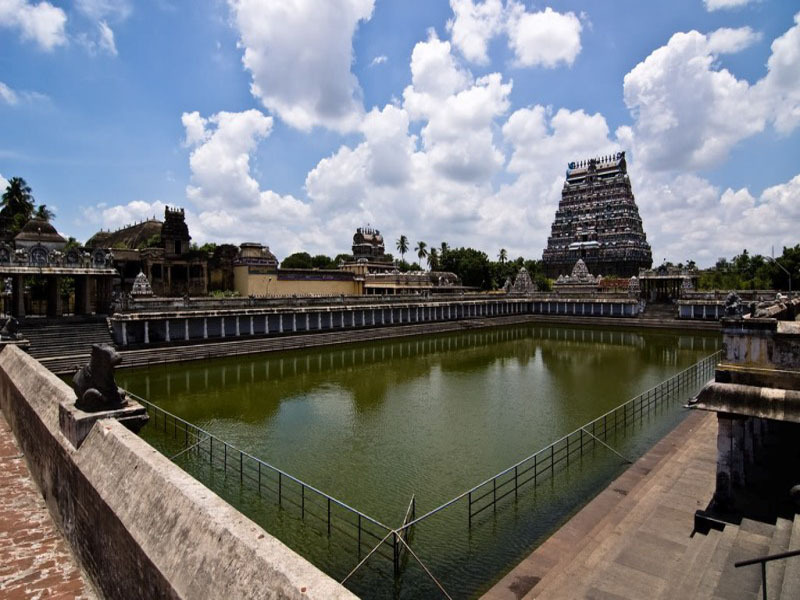 The Chidambaram Rahasyam is covered with a screen and is shown to devotees at regular intervals. In the temple tank, on the northern side, fishes come out of the water and on to the ground to pick up eatables thrown in by the devotees. 06:30 am to 12:00 am ; 05:00 pm to 10:30 pm. 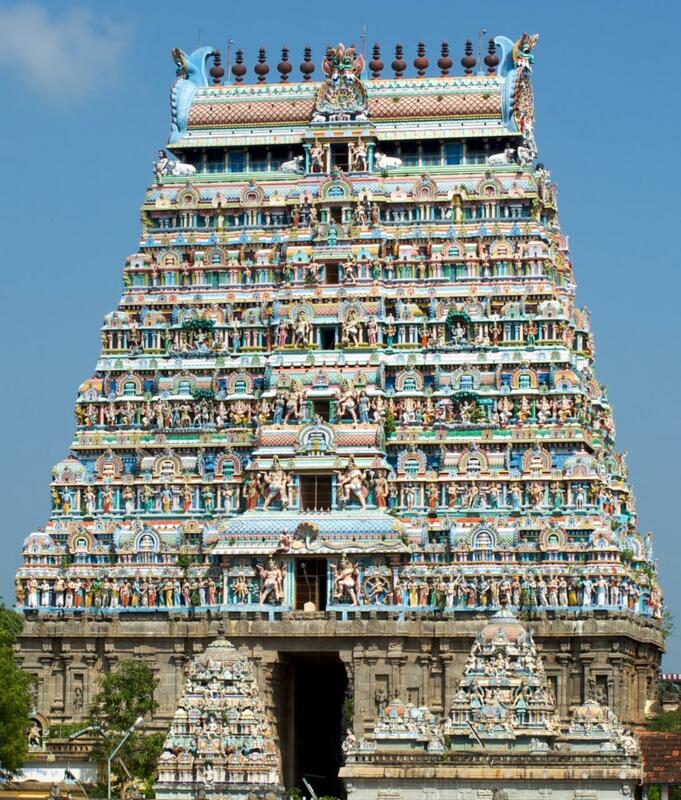 The temple is close to Chidambaram railway station and Chidambaram is on the Villupuram -Mayavaram rail route. Chidambaram is well connected with important cities of Tamilnadu by road. Phone: 04144 - 222552 ; 98940 69422. Contact Person - Sri Balaji Bhattar @ 04144 - 230787 ; 94439 86939.